– Distance from Strip: 20 – 25 Min. 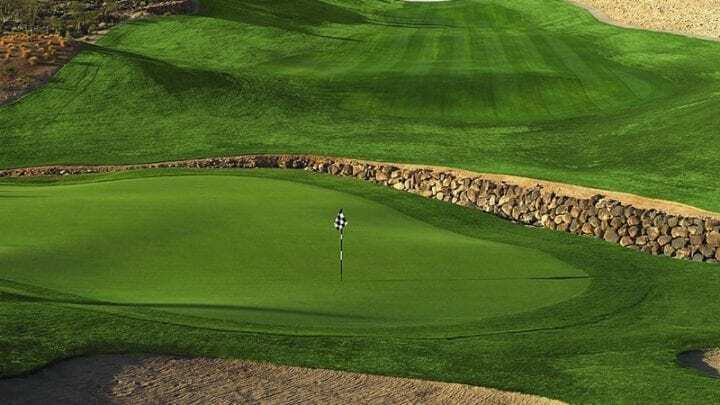 The Revere Golf Club Concord course opened back in 2002, has swiftly become one our customer’s favorite courses to play. 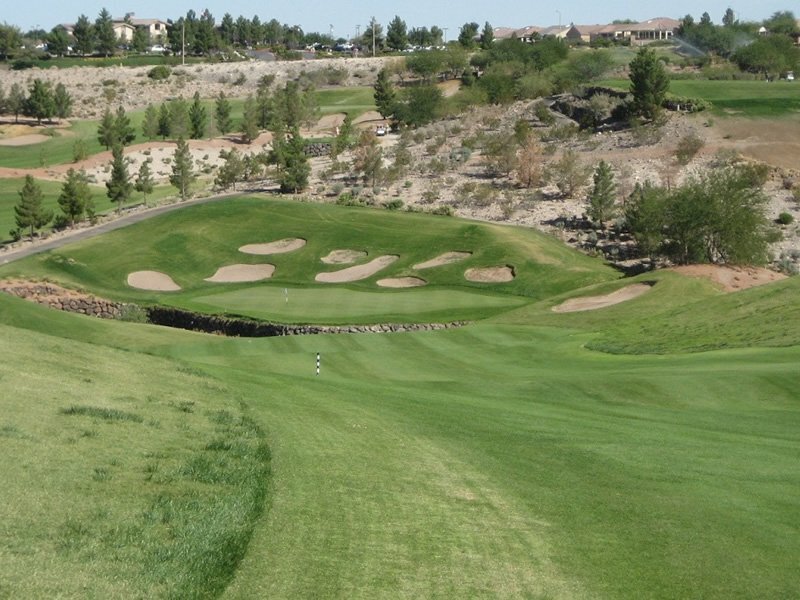 With exceptional views of the entire Las Vegas valley, and more playability than The Lexington, The Revere Golf Club Concord course offers the same challenging style layout with more forgiveness. 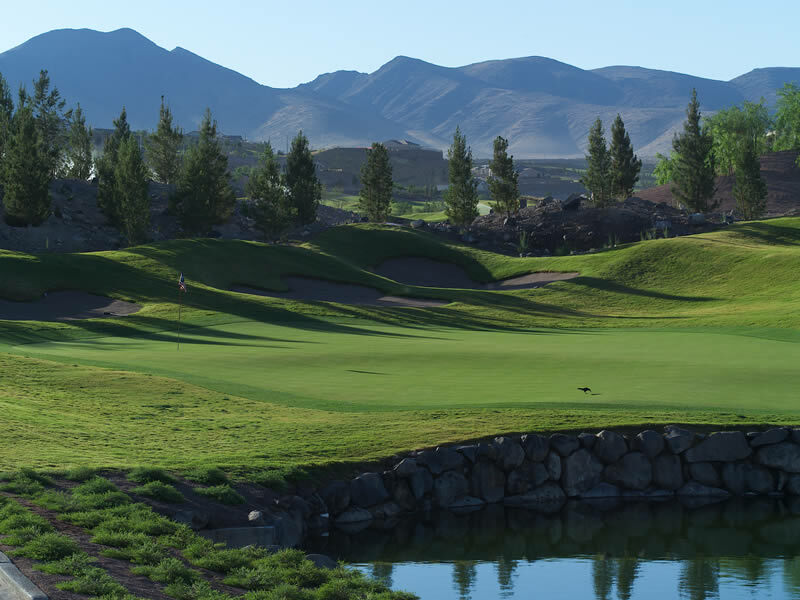 Undulating fairways, elevated tee boxes, running water features, and jagged mountainous terrain all play a part. In the winter season, the superintendent has the rough go dormant, which creates an eye-catching distinction between the fairway and the rough. It pretty much shows you the run way from tee to green. The eighteenth hole, “Independence” on the Revere Golf Club Concord course, has a nose bleeding 100-foot elevation change. 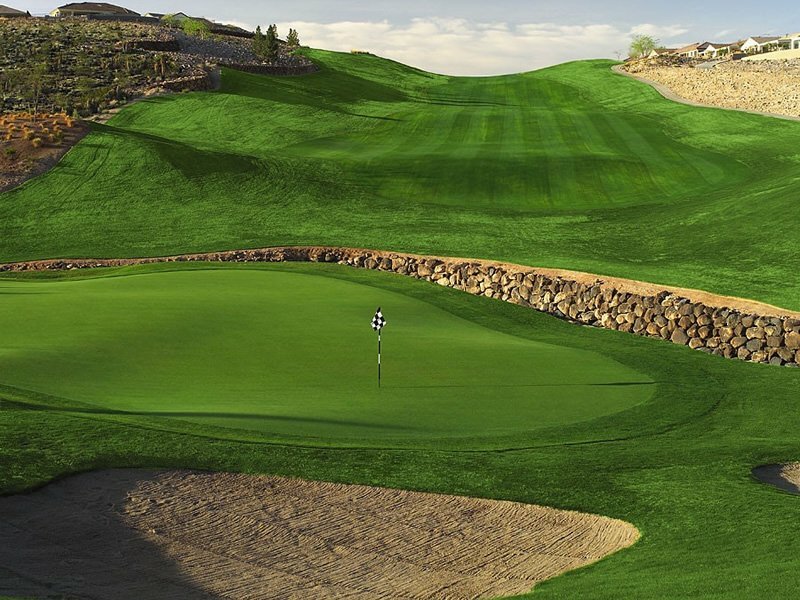 From the tee box to the green the drop off seems like a double-black diamond on your favorite ski slope. If you get away with a huge drive off the tee, you may be able to hit this green in two. 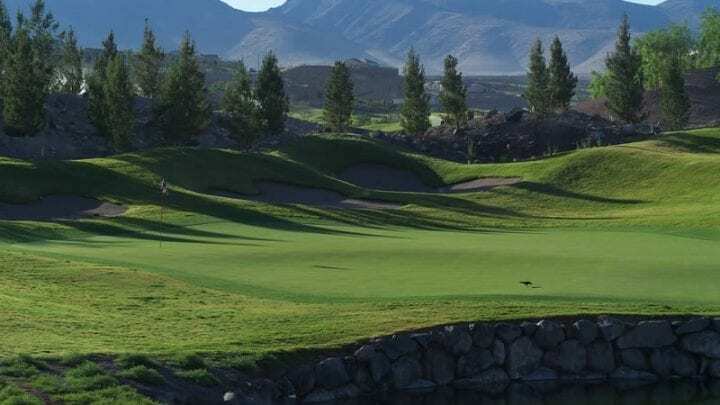 It will be best to avoid the 25-foot-deep rock gorge that guards the entry to the green, along with its surrounding 11 bunkers. By reaching this green in two, you will have gained your Independence like Paul Revere. Bring your camera, it will be well worth it. 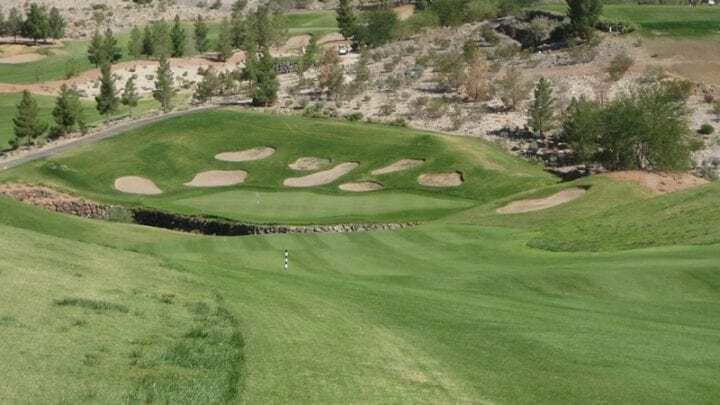 Noted as our customer’s favorite venue for tournaments, bachelor parties, or corporate outings, The Revere Golf Club has the best facility and service from the drive up to the 19th hole. 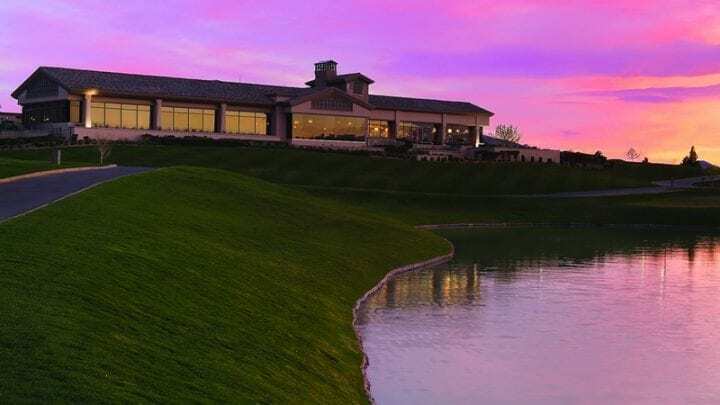 With banquet rooms able to accommodate any sized group and the Buckman’s Grille serving interesting surprises, The Revere Golf club is ready for your next group outing. 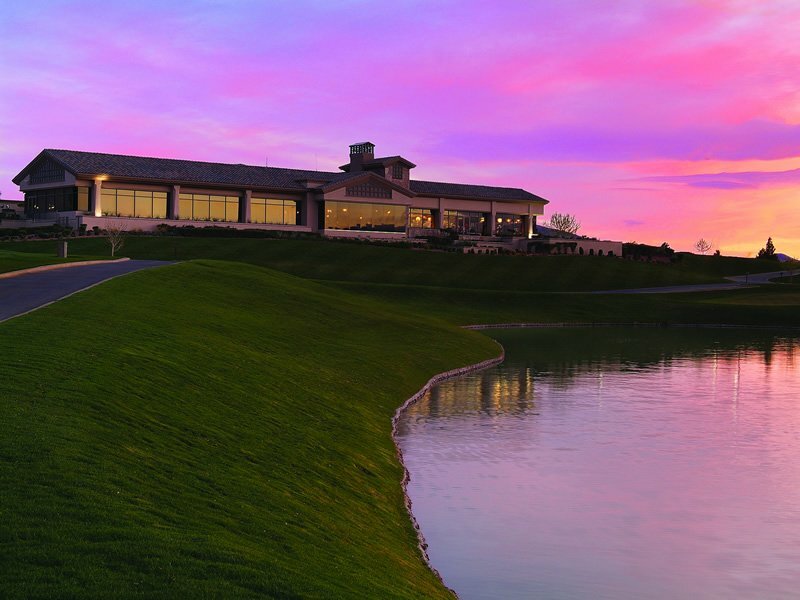 The Buckman’s Grille is full service restaurant and bar that offers unmatched views of the Las Vegas Valley. The entire north side of the clubhouse is floor to ceiling glass. From the restaurant and private banquet rooms, you will find spectacular full views of the entire Las Vegas valley and the Las Vegas Strip. 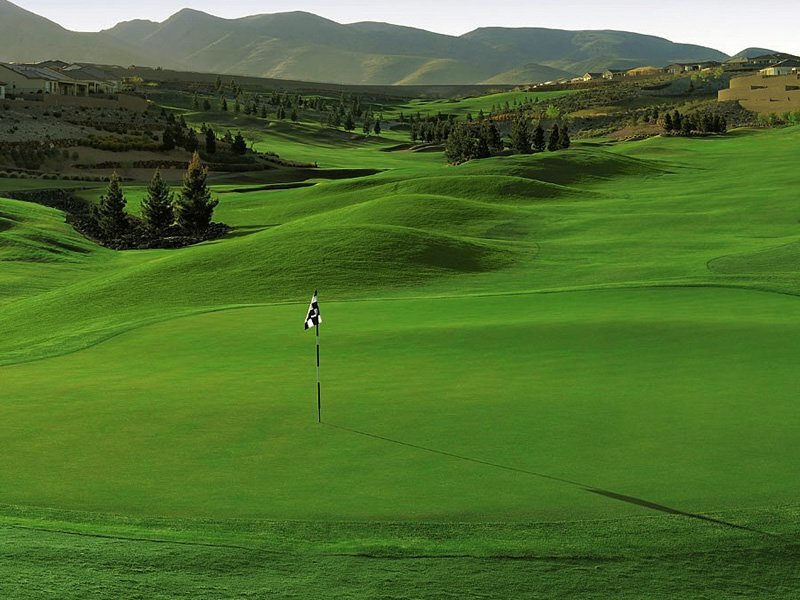 Trust VIP Golf Services with The Revere Golf Club; this is one you will remember and another "must play." I couldn’t wait to play this place. One of the guys from VIP said he got married out there, because of the views of the strip and the elevation changes. I brought my camera so I would be prepared. He was right; I started taking pictures once I hit this section called Anthem. 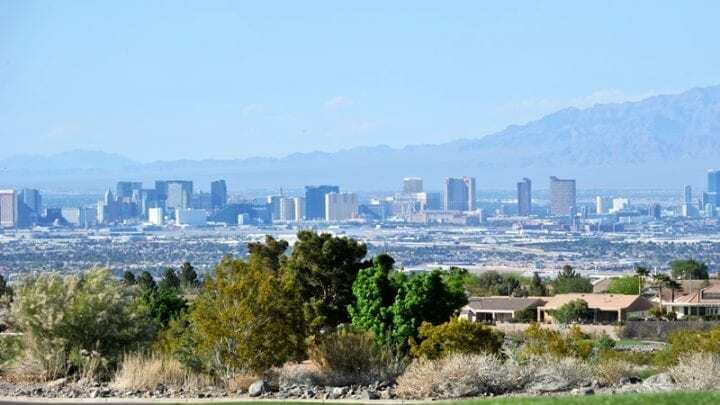 There are some areas on Anthem Parkway were you can pull to the side of the road and get some great shots of the course and city. 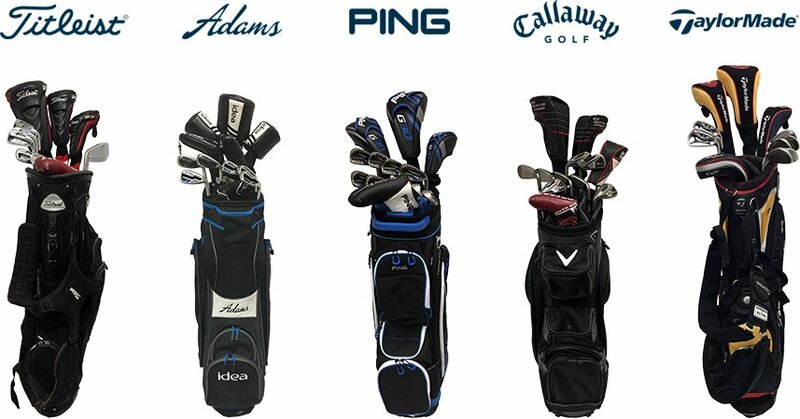 I drove to the bag drop and the guys welcomed us, grab our clubs, and got them setup on our carts. This place had cart signs down for us and we were only three golfers. 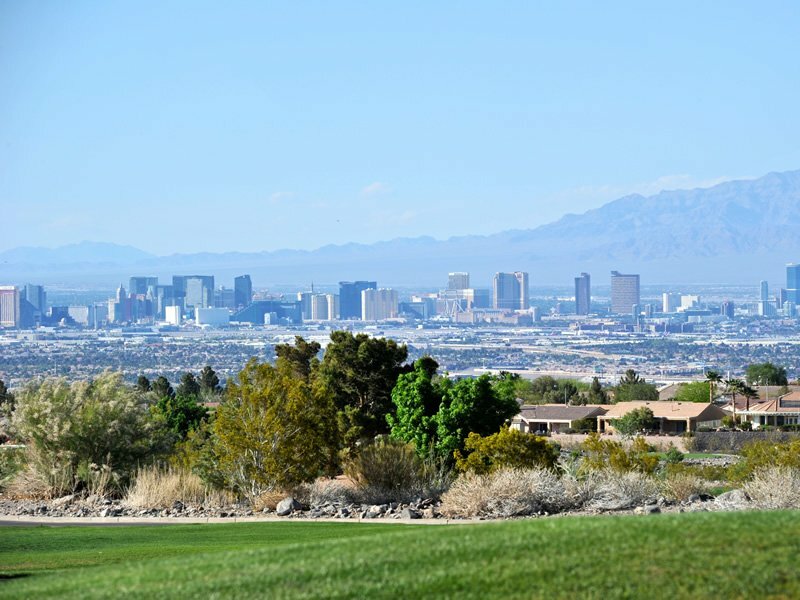 The clubhouse is amazing, because you can see a panoramic view of the entire city with the strip right in the middle. You are only about 25 minutes from the strip so you can still see quite a lot. I definitely took some more pictures. Anyway, I got checked in for the group and we were on our way. I had to grab a logo ball for the collection. The range is on the other side of the facility, but it is a nice little ride so I lit my cigar to get my day started. Concord’s #1 tee box is right by the range so that made it easy. It starts off with great views and a pretty good elevation change playing from basically every box; but from the back tees it was a really cool start. They say this one is the easier of the two. The Lexington course was closed for overseeding. They are not going to overseed Concord this year, so it is a great option when everything else is closed or on cart path only restrictions during Mid August through October. Concord has a bunch of really nice holes, but number 18 is awesome. They call it the ski slope. 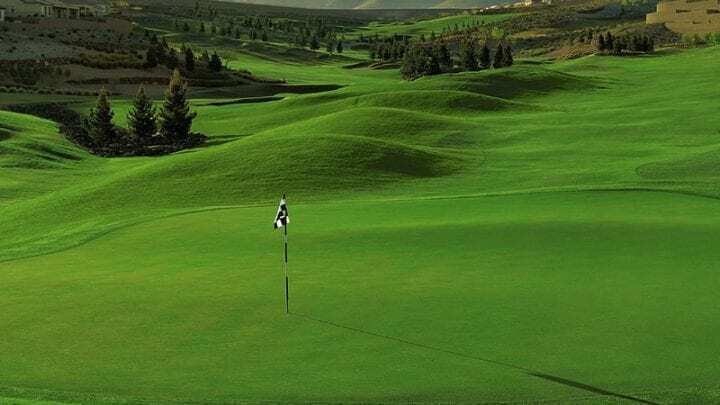 It is a par 5, that you can dare go for from the top of the hill. If your drive makes it down, it is much easier. The elevation change from the top of the hill to the green at the bottom has to be about 150 feet. There is also a decent sized rock arroyo guarding the front of the green. There is no rolling up, so you either go for it or layup. The fairways were pretty pure for summer time and the greens were smooth and quick. There were a couple holes that were cart path only due to over watering, but nothing to make a difference. Great course and great views….I want to play Lexington next time.